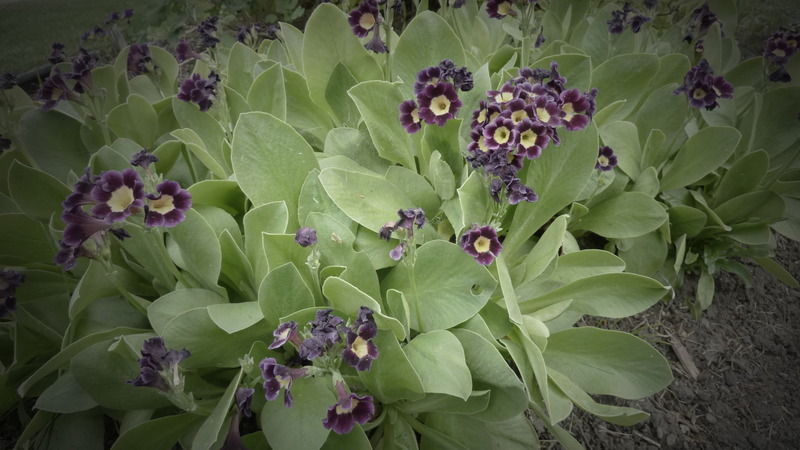 I haven’t planted this year yet…but, these are the beauties that have shown up after a very harsh winter. The Columbine didn’t do so well…although it looks like I’ve quite a bit of re-seeding that’s occurred, so there is Columbine where I didn’t expect it. 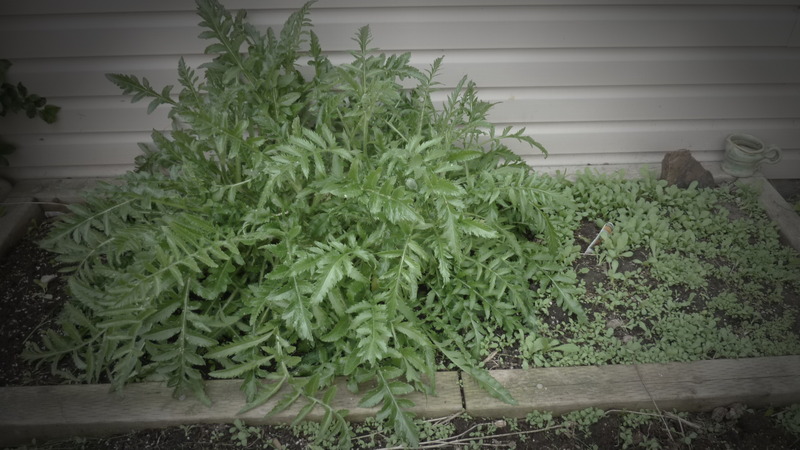 I also lost a couple of Oriental Poppies. Lupines have come up in several new areas and I’m going to let them go. They are so showy and last so long. 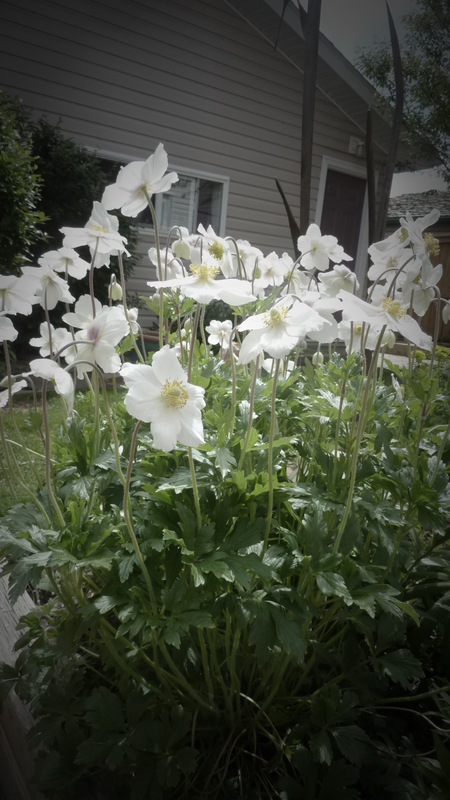 On their first visit to this particular home in the late 1990s, Mom and Dad fashioned my front yard flower bed. 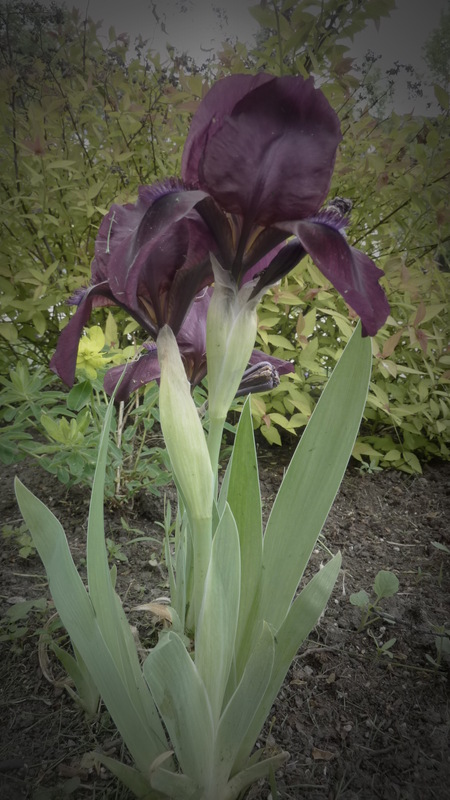 They traveled all the way from Ontario with iris plants from Mom’s garden. They are still blooming all of these years later. 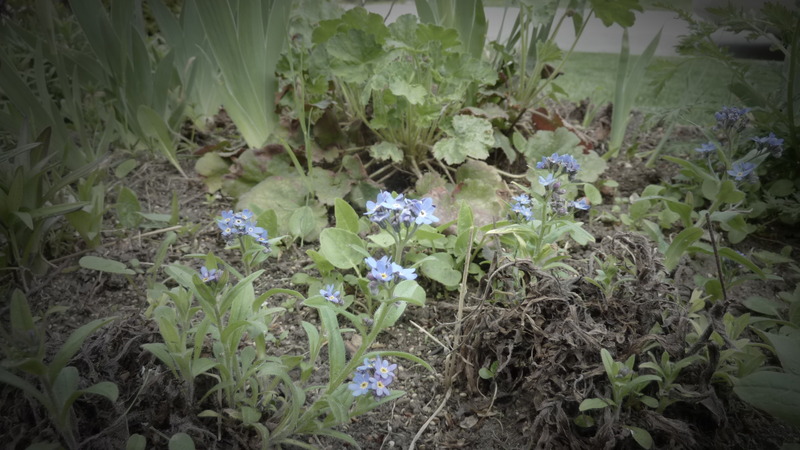 Forget-Me-Nots, while sparse, did appear yet again. I remember painting a diptych while sitting in Mom and Dad’s Frankford garden…an acrylic piece titled “Forget-Me-Not”. 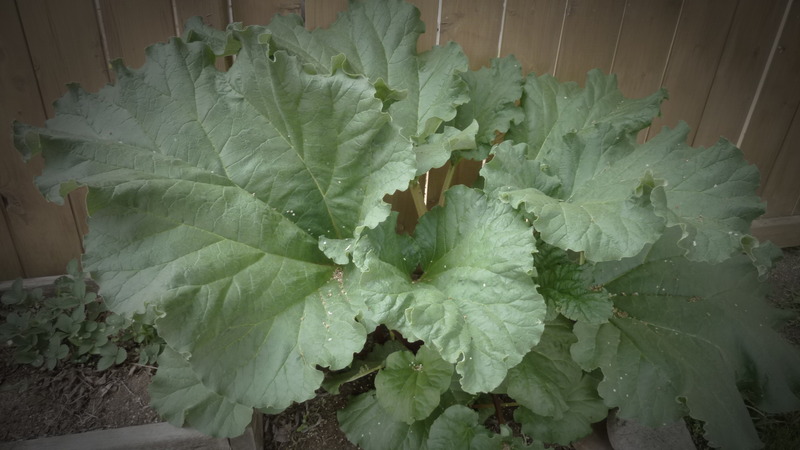 The rhubarb is ready to be yanked out… strawberries yet to be photographed, but they are in bloom. I see rhubarb and strawberries on my toast very very soon! 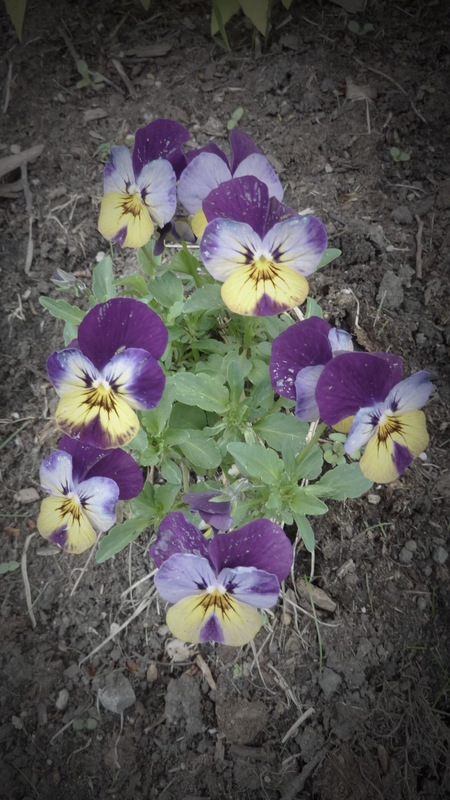 I’m going with a complementary colour scheme in the garden…yellow and purple…have been moving things about and thinking about this for years. It’s such a joy to be creative in the garden. These succulents really really like the northwest tip of my flower bed…it’s the dry sandy soil that happens there. I’ve begun to add other succulents for variety. Good to learn where things thrive. These are so easy…and so successful! Get some! 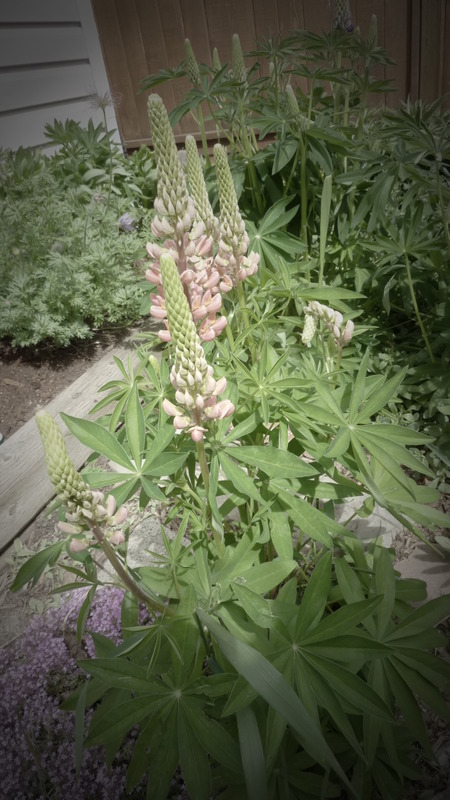 Lupines begin…I’ve got the coral and the purple. Poppies…oriental and other perennial mix. 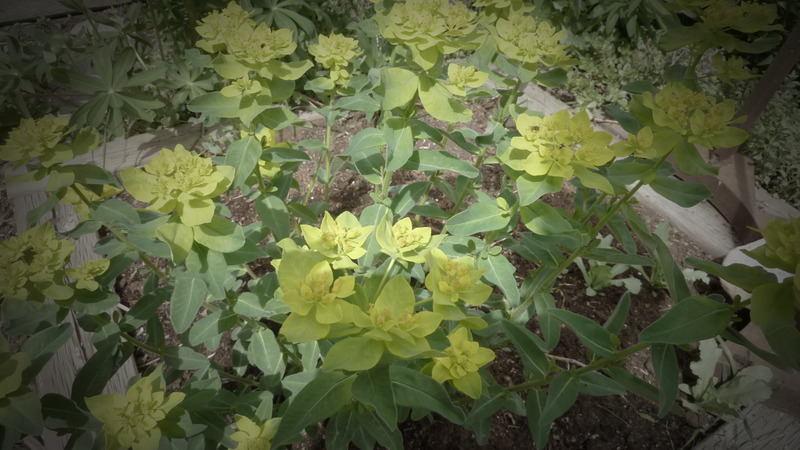 Very showy shrub thingy…but, I forget what it’s called. Early bloomer. 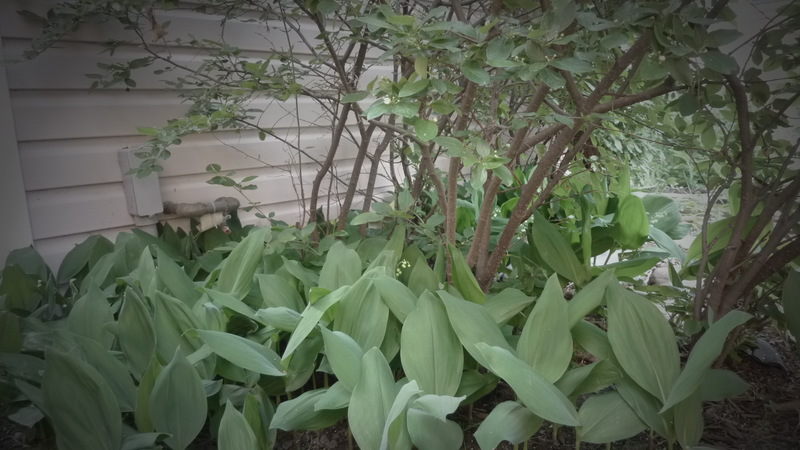 Filling in under my Catoni Aster with Lily of the Valley…these came from Pat’s garden years ago. This entry was posted in Environmental Concerns, Magic, Observations of Nature, Projects, Reflection and tagged Flowers, Gardens, Joy, Perennials, Seeds, Spring, Watching Things Grow, Yard Work by Painter Lady. Bookmark the permalink.